There are more than 5 reasons, but here are top-5 reasons why you should book your dream home at LUSHLIFE. Everything from planning to execution, we make sure to maintain the highest quality standards, always. We never compromise on using premium materials for building our projects and our team of adept professionals takes stringent measures to do a quality check at different stages of developing our projects. So if you are looking for 2 BHK flats in Undri you know where to go! All our residential projects in Pune are strategically located close to the best schools, colleges and hospitals. When you are looking for 2 BHK flats in Pune, you would want to make sure that commutation is never an issue. At LUSHLIFE you can relax because you will get to spend more quality time with your family and not stuck in traffic for hours! LUSHLIFE is always known for maintaining transparency in all its procedures. There are many real estate brands in Pune, but LUSHLIFE definitely is an exception as our staff responds to queries quickly and resolves issues as soon as possible. That’s how we’ve managed to earn that trust over the years. With the kind of quality services that we offer, you would be surprised when you know how much you are paying for it! If you are looking for 2BHK flats in Undri with premium amenities then you would not find more economical options. Your living room is where you would spend most of your time and you wouldn’t want it to be incomplete in any way. Here are 6 must haves for your living rooms that make them look as lively as you are. Yes looks do matter, but more than that, ensure sofas are comfortable enough to keep watching those late night matches or some fun films back to back. When your guests come in, they shouldn’t look around to find a place to sit. But do not fill up the entire living space with a huge sofa set. Keep room for other things as well. Depending on the space you have, there’s nothing better than having a Television that gives you great pictures. Surround sound would be an added plus for sure. Do this and your living room would be perfect for a house party! Your living rooms should reflect your sense of style and your tastes. Take out time and shop for those little decors like a bookshelf, paintings or interesting artifacts that will add that personal touch to your living rooms. Again, don’t overdo it or else you would wonder where to keep or place all of them. Set up your living rooms with some refreshing lighting arrangements, so that you are not dozing off and turning it into a bedroom instead. Having a grand chandelier will definitely give that royal touch and some cool table lamps or floor lamps will make your living rooms want you to stay there a bit longer. Curtains don’t just keep the sun at bay but will also give a whole new dimension to your living rooms. Make sure that the colours and the make of your curtains complements the other interiors of the room. Dark coloured curtains might make your rooms look smaller and it’s always better to go with light pastel shades or bright ones if you are the funky types. Finally if you think carpets are a big headache to be maintained, we say it’s worth every bit of that pain. Even a small carpet can add a dash of elegance to your rooms apart from making you feel warm and cozy. Now that you’ve got this list, go ahead and do your bit of shopping before doing up your living room. Most of us do not really know the kind of effect that home lighting can have on our moods. It’s essential to take effort, choose the right kind of lighting to create the right kind of ambience in your rooms. Poor lighting might make you feel depressed and can have a negative effect on the immune system. Having table lamps and floor lamps at some corners of your room will keep you warm and energetic. Bright lighting stimulates our mind and is perfect for study rooms or living rooms. On the other hand dim lighting can make you feel more relaxed and is apt for your bedrooms. Where there is scope for letting in some natural light, it’s always a better option. Even better, if it’s early morning sunlight because it has a positive effect on your health and vitality! Natural lighting through windows and skylights also has calming effects on our minds and emotions. Today you can find the funkiest of lamps which not only look good but also add dashes of colours to your lighting. Go innovative but the catch here is, don’t go overboard. Otherwise your rooms might look too strange. Now you know which rooms should be lit up in which way. Don’t ignore the effect that lighting on your mood. Investing in property is a big decision and you can’t really afford to go wrong. There are several residential projects in Pune which claim to offer the best amenities and provisions which might make you want to take a hasty decision. Here are certain points you need to consider when you are planning to book new flats in Pune. Your home is where you will spend life for a long time. Make it worth. There are good days and there are some bad ones. Make sure that you’ve got amenities to relax, rejuvenate or indulge in some sporty activities to keep you fresh and energetic. This helps you maintain the right balance between work and play. SKY HEIGHTS offers well-thought 2 BHK flats in Undri, Pune with all these amenities at fairly reasonable rates. Your health is above everything else. Your home and your neighbourhood should inspire you to start following a healthy lifestyle. It not just about your body; keeping your mind calm and composed is equally important. All our residential projects in Undri have all the right reasons for you to live a LUSH, healthy life. Your life is precious and you never know what could go wrong. When you are searching new flats in Pune, it’s important to do a comprehensive research about the facilities and amenities that the builder provides to ensure your and your family’s safety. In this hectic life, there are moments when you need your piece of mind. When you are cutting through the city’s traffic and noisy environs, you would want to escape into quieter spaces when you get back home. OVO offers luxurious 2 BHK flats in Undri, Pune with lush green landscapes, keeping you away from the hustle and bustle of the city. Special days deserve a grand celebration. Wouldn’t it be ideal if the residential project in Pune you opt for also includes spaces and venues to conduct these special events! OVO offers party lawns with separate barbeque areas to make this happen. Choosing a colour for your rooms can sometimes make you want to pull your hair. Mostly because you need to ask everyone from your family and your friend-circle before taking that big step! To top it each one of them would have a different take. No matter what you choose, there are some basics you can’t miss. You may have ideas, hundreds of them. You need to consider all of them one by one, plan and only then decide which colour to go with. Otherwise, you might have to regret later on. It’s always better to buy furniture before painting your rooms. You would get a better idea which colour would suit your rooms best. If you paint your rooms before buying furniture, there is a high risk of going completely wrong. Dark shades generally tend to make your rooms look smaller. Also natural light doesn’t reflect off dark walls, making the rooms look too cramped up. Don’t paint all your walls with pale, boring colours, just because you think that everyone else does that. Add a personal touch, go creative, have sections of your walls painted with interesting bright wall colours or wall art. Don’t make a hasty decision when it comes to the right brand, type of paint, quality etc. Make sure that once you get your walls painted, they stay fresh for a very long time so that you won’t have paint too frequently. So now that you’ve read the dos and don’ts, explore the true colours of life within your home, by making a smart decision. Yes. It is, but only if you take a wise decision and do your research before investing in a property or buying flats on sale in Pune. There are a lot of factors that affect property rates in local markets, from GDP, to a stable government, to funds, to fluctuations in national budget plans. Investing now would definitely fetch you handsome returns in the future because property rates generally keep increasing over the years, if you consider some important factors before making the final call. So what are these points you need to closely analyze and understand while choosing the perfect property investment option? When you are looking for apartments for sale in Pune, the location of the property is a factor that you cannot really miss. If the neighbourhood has the good schools, colleges, hospitals, shopping centres in the vicinity, then you are going in the right direction. Apart from that, if there are IT parks and business centres then it’s an added plus because then, residents would not have to travel too far to reach their workplaces. You also need to be sure that commutation is convenient and the property is close to train stations and bus stands. Many-a-times, property rates might be lower as the area might not have the best conveniences currently, but might have plans for future developments. The municipal planning department will have information on all the new development plans for a particular area. If there are many new business parks or malls going up in your area, there are chances that property rates would increase in future. You need to weigh the pros and cons intelligently for keenly understanding these factors. As an investor if you are planning to make money from rent, you should be aware of the property tax structure in that area. Property taxes could be sometimes high because the neighborhood is an excellent place for long-term tenants. You won’t get everything though, you need find a midway. You should ideally talk to homeowners within the community to complete your research. Great amenities don’t just add comfort to your life, but also improves resale value of the property over time. While investing in apartments for sale in Pune, make sure that they offer more than just homes, but amenities like Gym, swimming pools and other such facilities that add more value to your property asset. LUSHLIFE offers all the right reasons why you should invest here, because all our residential projects in Pune are strategically planned to ensure that you fetch outstanding returns. Pune is a city which is known for its astounding cultural and natural wonders that will amuse you to no end. Unlike other metropolitan cities it has an exciting city life and is peaceful at the same time. 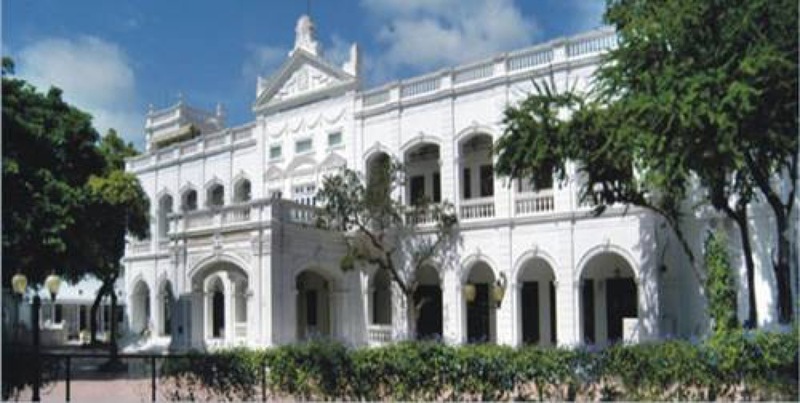 Let’s take a tour through some of the must visit places in and around Pune. It’s the best place to go, if you’ve been planning a weekend trip with your friends to take a break from your hectic schedule. 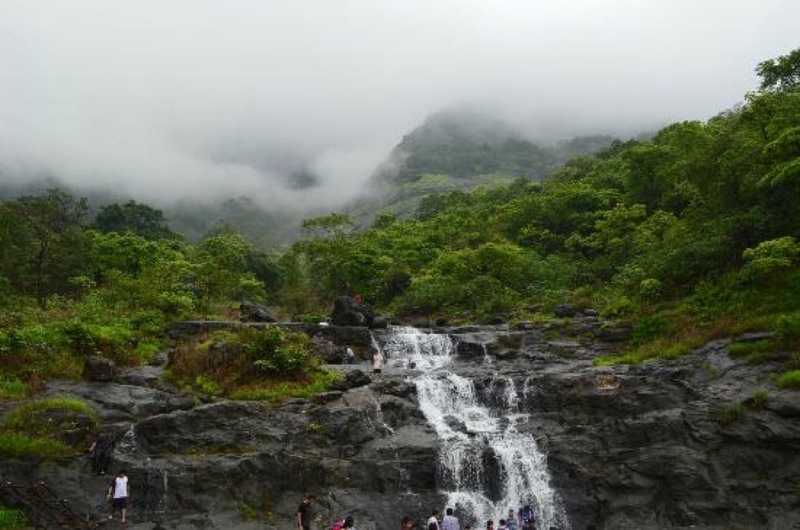 It includes many famous hill-stations like Lonavla, Khandala and Mahabaleshwar. Just what the doctor ordered; piece of mind! Not like other conventional museums, Darshan Museum is distinct in its own way because it has 3D Holographics, Life-Like Statues, Realistic Sets, Hi-Def Audio, HD Video, Theatrical Lighting and much more! It is not just displays that portray historical significance, it is the way in which they weave stories and recreate them in a fascinating way using the above mentioned techniques. And the best part is that entry is free of cost! 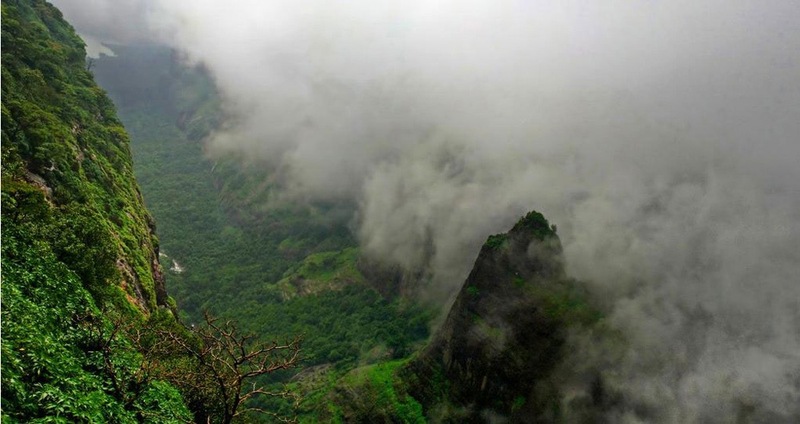 An ingeniously structured Maratha fort which offers breathtaking views of the mountains! It’s almost a three hour drive from Lonavla and you can opt for the cable car to reach the top for the fort. But all that effort is totally worth it! Enjoy the stunning views of the valley at one of the best hill-stations that you can ever visit. Away from the hustle and bustle of the city, it is the perfect place to take your family out for a small vacation! An offbeat destination that comprises of overflowing lakes and misty hills; a paradise on earth! Almost 90 minutes from central Pune, the drive along the valley is as beautiful as the Dam itself! Now that you know where to go, pack your bags and get ready for some thrilling trips with your loved one at these locales that highlight the magnificence of nature’s beauty! Where you live is what defines who you are and that’s the reason why when it comes to choosing the right home, you can’t really afford to go wrong! LushLife has always believed that your dreams are important and we strive towards shaping them and turning them into reality, right in front of your eyes. With the vision to redefine your lifestyle, our properties are designed by inducing the perfect blend of nature’s beauty and innovation in every structure of ours and turn them into a timeless symphony of shape, space and emotion. We adopt eco-friendly measures in every possible way to ensure that the world that we live in stays beautiful. We also understand that homes are not just made of bricks and walls; they are made of memories that are etched in your hearts forever. Our properties have all the amenities you can think to comfort your luxurious desires, help you relax, refresh and lead a lush life! All our projects are located in Pune which is considered to be one of the most promising cities. We currently have three projects namely, The OVO Life, Sky Heights and Centro neighborhood; all of which have a distinct identity. Luxuriously appointed 2, 3, and 4 BHK flats, lush green gardens, a stylish yet intuitive clubhouse and an Italian inspired piazza podium are all integral parts of The OVO Life. Sky Heights is a premium residential venture of 1 & 2 BHK homes. Niche, well thought out features like large windows for ample ventilation and quality amenities put this project on a different level altogether. CENTRO neighborhood will truly become the center of your life, because it not only includes amazing residences, but also office spaces and shopping centers with renowned educational centers in the vicinity. Another aspect that sets LushLife apart from the rest is the fact that we offer luxury at a very reasonable cost as compared to the other options. But we never compromise on quality, timely deliverables and transparent dealings. Our values have helped us build trustworthy relationships with all our clients. Check out our website to know more about our projects. We hope that you find your dream home at LushLife!